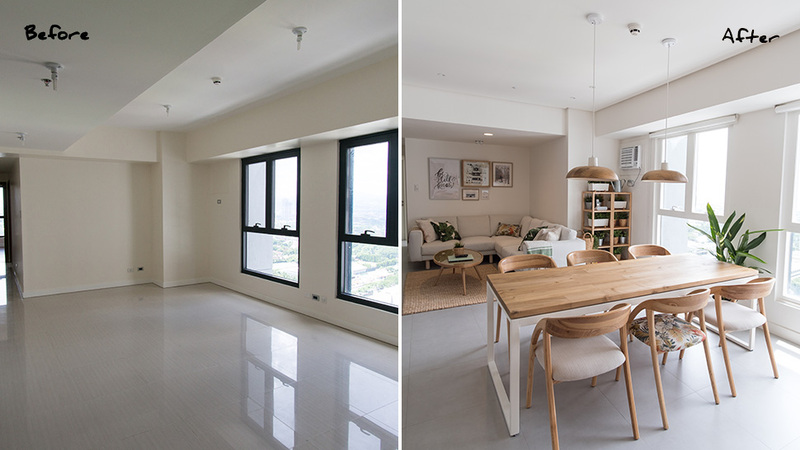 Homeowners RJ and Louise knew from the get-go that they wanted to transform their three-bedroom unit in Ortigas into a space they can share with others. “We wanted the home to be bright, maaliwalas, peaceful, and relaxing,” they share. Taking inspiration from the resorts they’ve visited, IKEA catalogs, and different websites, they chose to work on a tropical meets Scandinavian aesthetic. The couple originally purchased four one-bedroom units and these were combined to create a 140sqm home.